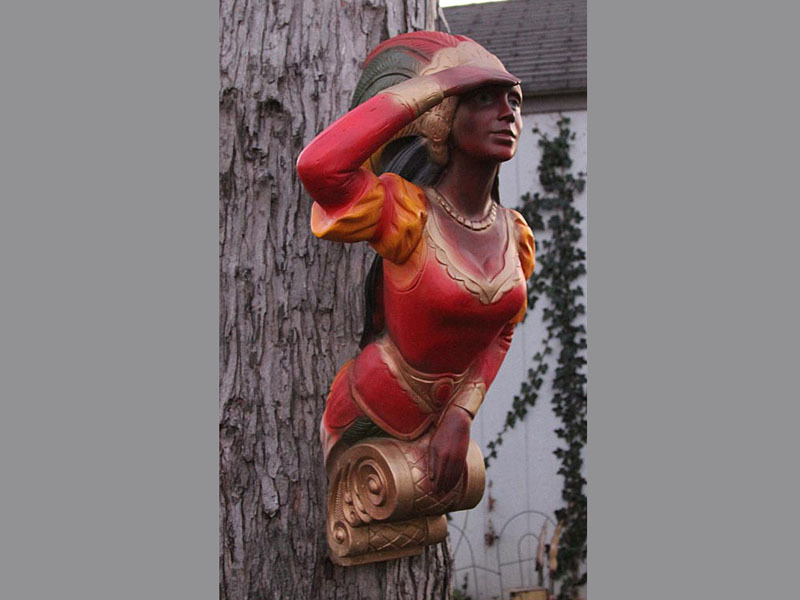 NOTE: If Figurehead is not in stock, delivery time is 3-4 weeks. 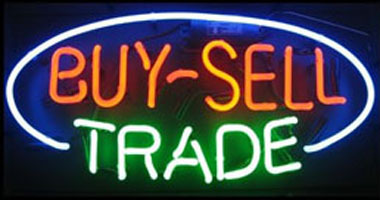 International, Canada, and Far East, please email for a shipping quote. 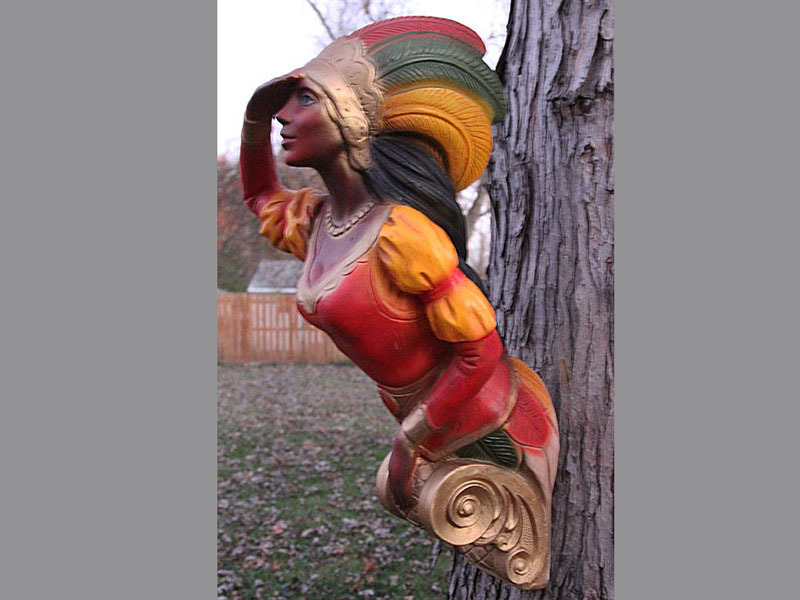 This is a new 33" tall "Indian Princess" ship figurehead. 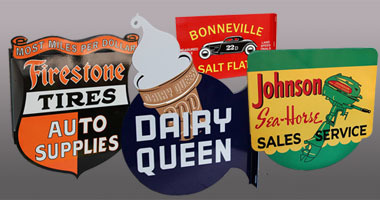 It is made of a composition-type lightweight fiberglass material and is airbrushed to look old and easily hangs on any wall inside or also can hang outside. 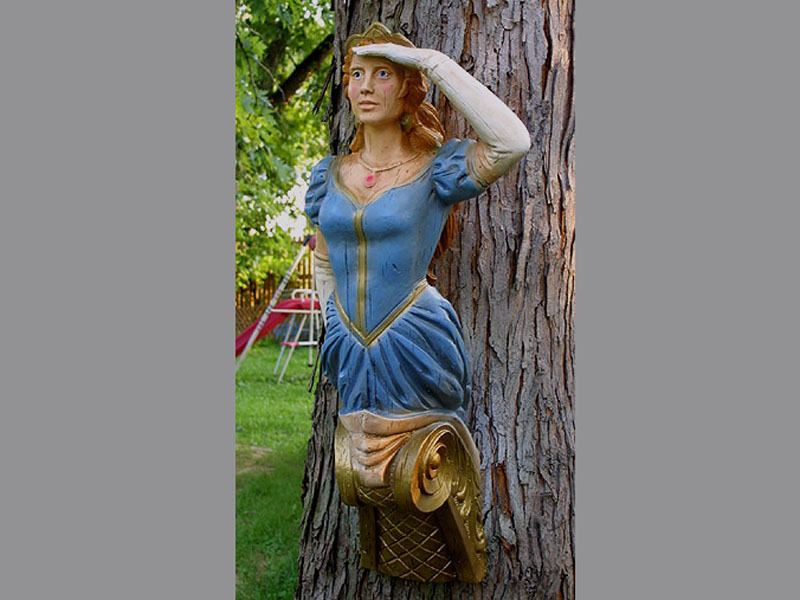 The figure has weathered cracks with realistic detail and resembles old "aged wood" to look like the same ones used on the ships of long ago. Makes a very nice display and conversation piece! Perfect Bar, Restaurant, Basement or Gameroom item. Custom painted so each one varies slightly in appearance. 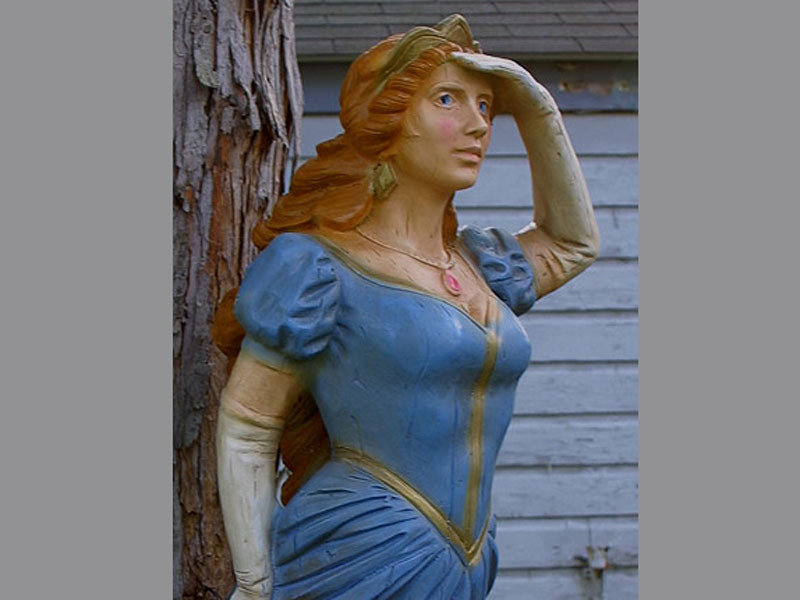 This is a 36" tall wall-mounted SHIPS FIGUREHEAD of the English redhead maiden LADY ANNE. 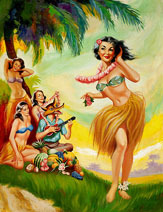 It is made of a composition-type lightweight fiberglass material and is airbrushed to look old and easily hangs on any wall inside or also can hang outside. The figure has weathered cracks with realistic detail and resembles old "aged wood" to look like the same ones used on the ships of long ago. Makes a very nice display and conversation piece! Perfect Bar, Restaurant, Basement or Gameroom item. Custom painted so each one varies slightly in appearance. 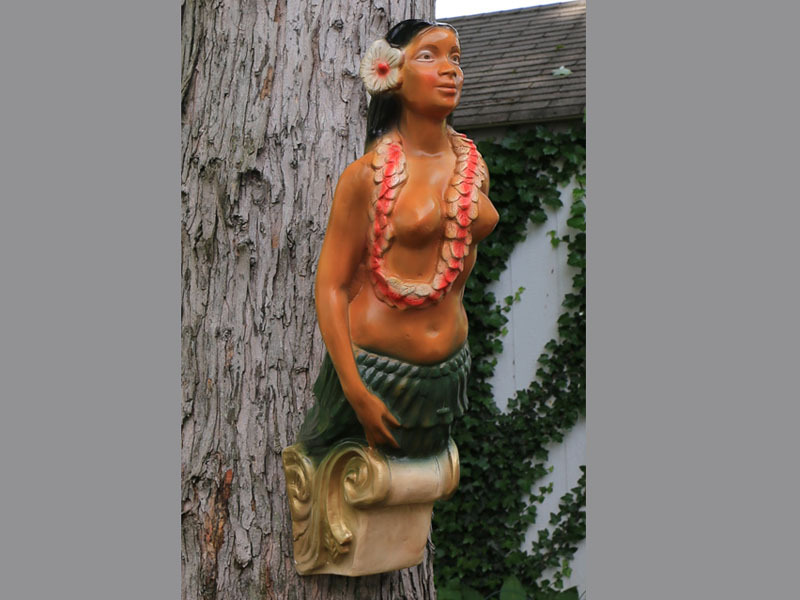 This is a 36" tall wall-mounted SHIPS FIGUREHEAD of a HULA GIRL, aka "Polynesian Princess". 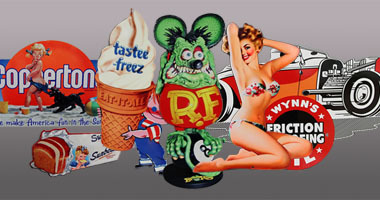 It is made of a composition-type lightweight material(fiberglass) and is airbrushed to look old and easily hangs on any wall inside or also can hang outside. The figure has weathered cracks with realistic detail and resembles old "aged wood" to look like the same ones used on the ships of long ago. Makes a very nice display and conversation piece! Perfect Bar, Restaurant, Basement or Gameroom item. Custom painted so each one varies slightly in appearance. 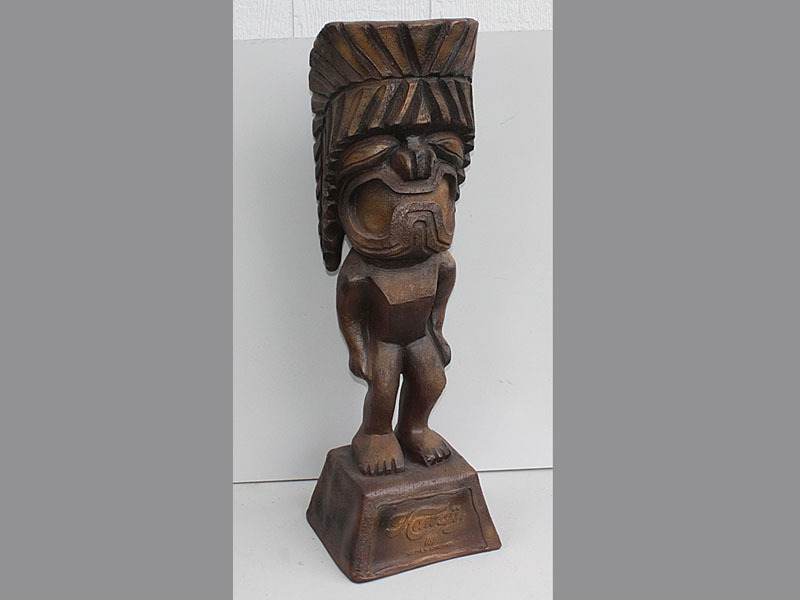 This is a 30" tall Tiki Figure used as counter displays to promote vacations in Hawaii for United Airlines. 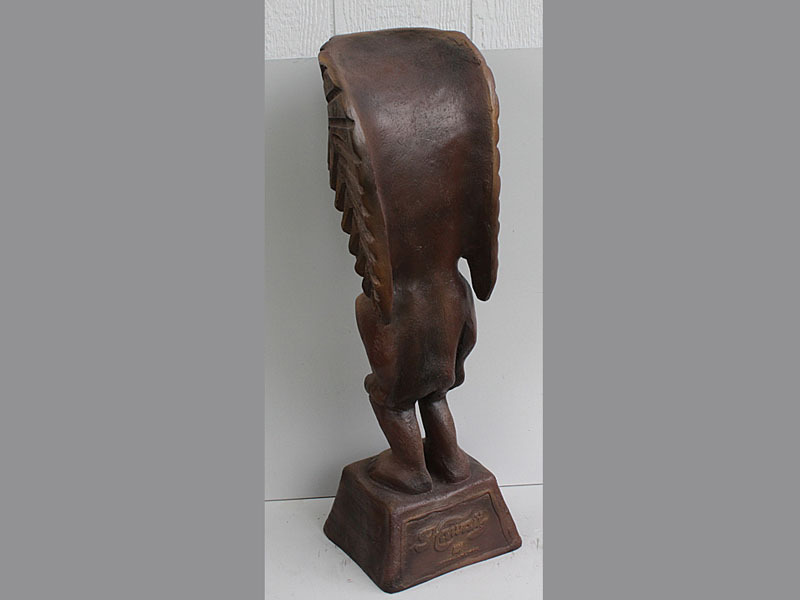 Originally made in the 1960s of composition foam. 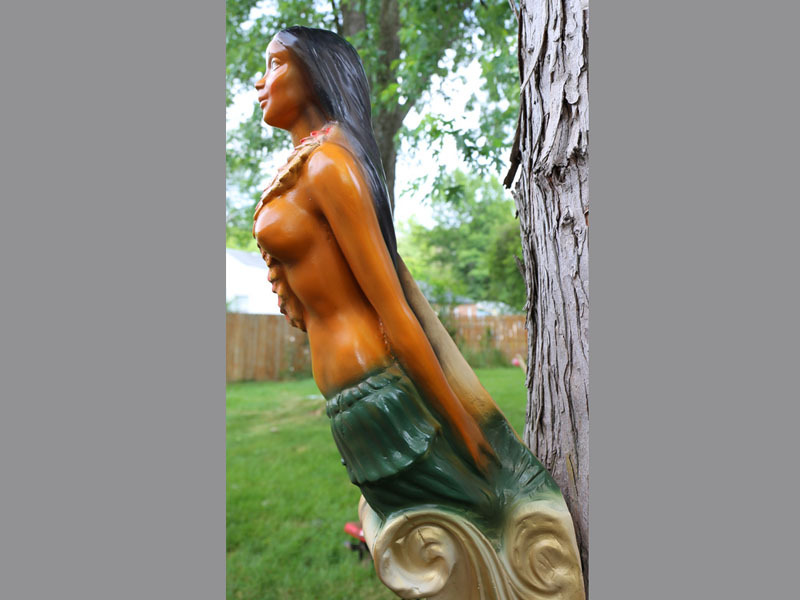 This one is made later new in fiberglass (more durable) and airbrushed as shown. 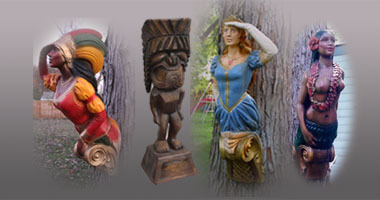 Figurehead Statues & Tiki's <-- you are here.